Enjoy 10 days of family adventure as you work your way around the South Island with this exciting itinerary. Take a trip on the TSS Earnslaw across the magnificent Lake Wakatipu, go bush with a Nomad Safari 4WD trip, and get your pulse racing with a spin on one of the famous Shotover Jet boats. Head to Fiordland National Park for a full day trip out to the beautifully peaceful Doubtful Sound and enjoy a scenic helicopter flight up to one of New Zealand's stunning glacier formations. Cross the Southern Alps on the famous TranzAlpine scenic train and finish up your tour with an exciting wildlife encounter in Akaroa before heading back to Queenstown via Mt. Cook National Park! 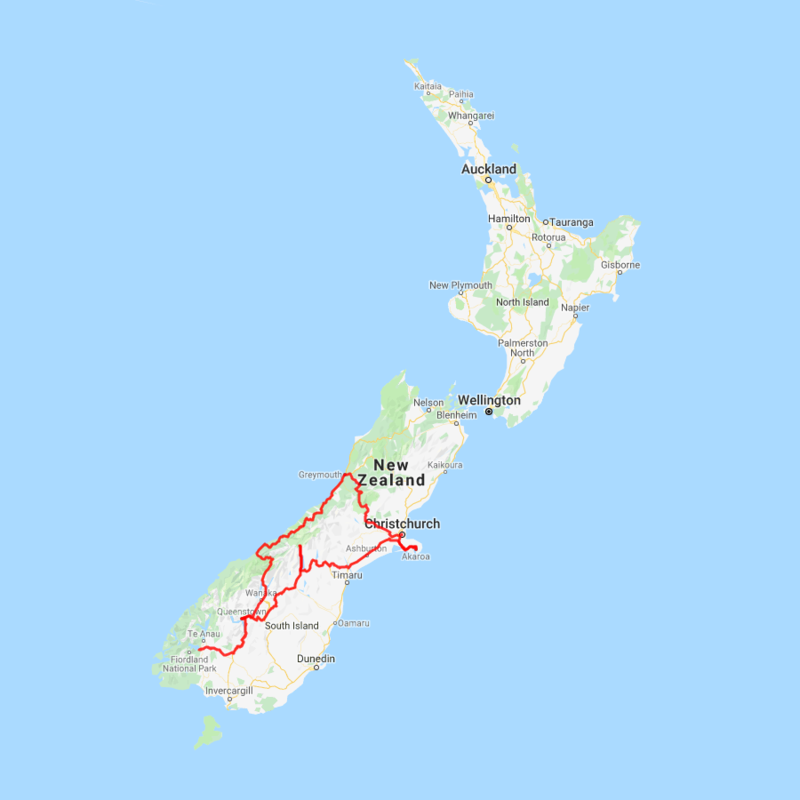 You can expect to spend around NZ$179 in fuel cost on this itinerary based on an intermediate sized car.